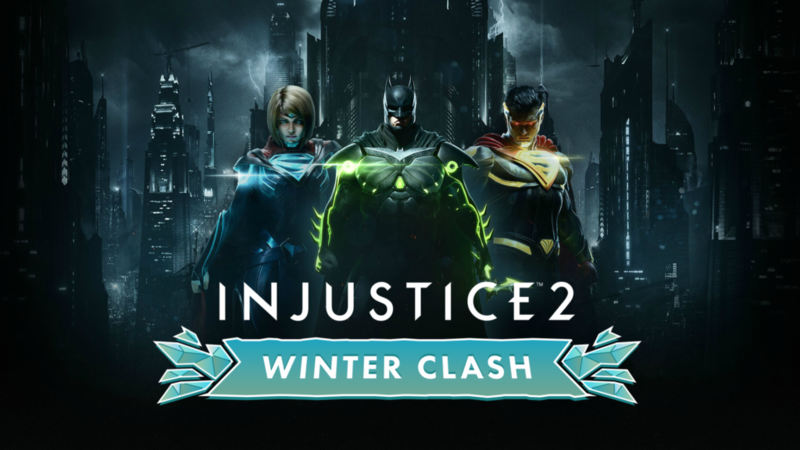 We are excited to partner with Warner Bros. Games and Twitch to bring you Injustice 2: Winter Clash online series! Winter Clash is an online tournament series where players from North America will compete for cash prizes starting December 2! Top 8 finals will be streamed on Monday and Tuesday on https://twitch.tv/netherrealm to cover East and West North American regions. If you’re looking for more Injustice 2 action and win some holiday cash, make sure to register at a region near you!